People immediately turn to the internet when they need something. Now, more than ever, this includes searching for a house or apartment. Your real estate business can’t afford to miss out on new clients because you have an old or unfriendly website. Consider building a new website as an investment in your online marketing presence. You’re already reaching out and engaging with people on Facebook and Instagram, so why should you leave your website behind? If you’re willing to invest the time and money in social media, then you should make sure you’re directing traffic to a landing page that is modern and accessible. You also want your website to be a representation of your brand. Maybe you find homes that are sleek and elegant, or maybe you specialize in matching families with the perfect place to grow into. Ask yourself who you are as a realtor and what you represent to your clients, then decide how you’d like to incorporate those characteristics into your website. This doesn’t mean, however, that your website should have 100 videos or a Flash animation on every page. In fact, a good website is simple and easy to use, with quality images and a wealth of information. Chances are clients are coming to your website because they have questions, either about your business or buying a home in general. Your goal should be to provide answers to any questions they may have as seamlessly as possible. There are a couple of ways for you to do this. First, you can have a comprehensive Frequently Asked Questions (FAQ) section. This is a great way for clients to find information they may need without having to dig too hard on their own. It’s also a great place to give them base information before they reach out to support staff for further help. People prefer talking with others for support, and there are many great tips for providing great customer service to your clients. One such tip is to practice active listening. Another is that it is perfectly acceptable to say that you don’t know the answer to a question. Then go research that question, getting the correct answer, and deliver it to your new client. If you can’t afford the time or investment for on-call support staff to answer client questions, then you should consider a chat service. A chat plugin to your website will allow you to set automated responses to popular client questions while still providing them with an enjoyable experience. A chatbot can be a great way to help boost your customer service score with new clients. Finally, you’ll want to make sure your website is easy to use so that all your good information doesn’t get lost in a bad interface. You’ll want navigation bars to be easy to understand and clearly labeled. You’ll also want your page hierarchy to make sense — don’t put the Tips For New Homeowners page in the same section as the contact form and About Us page, for example. 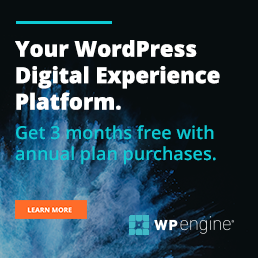 Of course you’re going to want to drive as much traffic as possible to your website. That’s why you’re putting the work in in the first place! So, in addition to optimizing your site for ease of use, you’ll also want to make sure you’re optimizing it for the targeted audience you want to attract. One of the biggest things to know about optimizing your site is that it has to be mobile friendly. This means when clients view your site on their mobile device — their tablet or smartphone — the website adjusts for the best display on that device. This experience is so crucial that some search engines place priority on listing results that are mobile optimized. 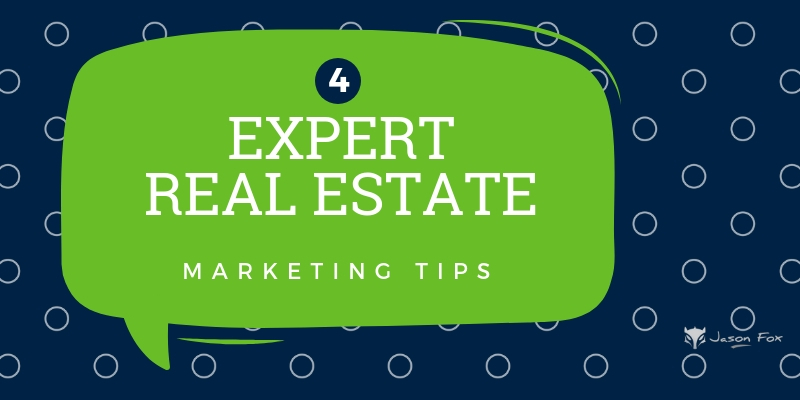 You’ll also want to be smart in how you share listings that link back to your website. You may be wary of sharing listings on popular real estate aggregators like Zillow, but if used carefully, you can use them as a platform to drive traffic back to your own site. At the end of the day, people are clicking the listing because they want to see more about the house — they often don’t care where the link directs them. Finally, you’ll also want to provide a variety of written resources that will make your website a destination for more than just prospective homebuyers. Having a blog on your site is a great way to not only establish yourself as an authority in the real estate market, but to talk about other things related to home buying that will be helpful for your clients — like insurance to consider or appliances they might need now they’re not in an apartment anymore. As always, having great written content can act as a natural way to boost your SEO traffic. In the world of online content, images are king. This can be especially true in real estate, when people can’t see an entire house online and need to be able to see the best photos of it first. You have to have beautiful, high-quality images for all of your listings that will draw clients in and make them want to see a property in person. This applies to all the images on your site as well. You’ll need to make sure that any headshots or advertisements you display on your site are also done in the correct resolutions. Everything should come together — images, design elements, text, and banners — to create a sleek and attractive representation of your business. It’s worth noting that it’s OK to get creative with the photos you take and share on your website. It shouldn’t be “high art” by any means, but a little staging and mood lighting can really help clients visualize their life in a new space. Try playing with angles or taking photos during different times of day to see what strikes you as the most inviting. You’ll also want to make sure that, yet again, your website is mobile optimized. You don’t want to do all the work of curating and designing a beautiful website on a desktop just to have it look horrible or be unnavigable on a client’s smartphone. Responsive web page design can help you avoid that tragedy and keep your images looking as good as when you took them.